A place where great value meets ultra central location in the city. City Beach Resort offers affordable, convenience, friendly staff and relaxing atmospheres for backpackers, couples, families and business travellers. Walk within minutes to everything: the country’s oldest and most prestigious golf course, the lively night market, the white sandy Hua Hin Beach, Hua Hin Shopping Mall, restaurants and bars. 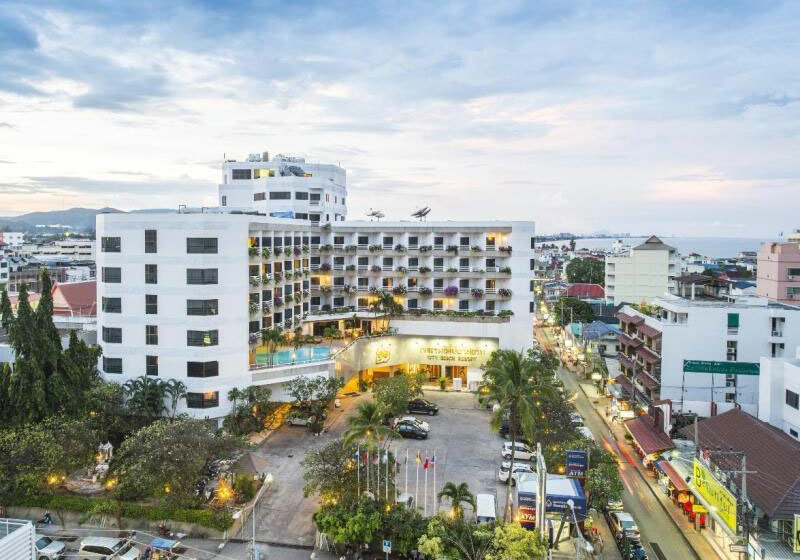 Soak up the relaxing mood of Hua Hin upon arriving at this warm welcoming and convenient City hotel. City Beach Resort offers rooms with our newly refurbished rooms on the top floor ideal for both business and leisure travellers. Featuring 162 comfortable and affordable rooms equipped with Television with international channels such as BBC, internet access, private balconies, minibar, built in wardrobe and individually controlled air conditioning. Short Description: A place where great value meets ultra central location in the city. City Beach Resort offers affordable, convenience, friendly staff and relaxing atmospheres for backpackers, couples, families and business travellers.